The history of the Church of Jesus Christ of Latter-day Saints (Mormon or LDS) has always been an enigma. The church’s published history is a mixture of truth, speculation, and falsified information. To resolve that, history students have sought more transparency from the church and less suppression of documents. The historical archives of the Mormon Church hold most of the documents that could settle controversies, but only in recent years have some of these been made available. Most of the falsified history is deliberate. Its aim is to sanitize profane behavior (occult practices, unethical conduct, polygamist marriage, murder, etc.) and to protect the early leaders (Joseph Smith, Jr., Brigham Young, and other LDS apostles and prophets). The Mormon Church has attempted to fill the information vacuum by publishing a new four-volume history that carries the approval of the church leaders. 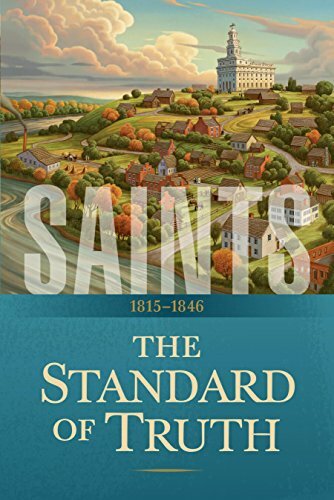 The series has one long title Saints: The Story of the Church in the Latter Days, while each volume has its own subtitle. The Mormon Church began this project in 2008. If a decade of research and writing still produced an inaccurate history, then what is the point? To their credit, there is one improvement in the Internet age. The online edition has hyperlinks to a few source materials. Another difference is that the new history carries an official endorsement from the LDS First Presidency, who stated (Saints, xv), “We pray that this volume will enlarge your understanding of the past, strengthen your faith . . ..” This is a double-edge sword because the formerly taboo subjects that it discusses now carry a church endorsement. In contrast, the still-censored and suppressed items could show church collusion by concealing them. After all, if we outsiders know about the suppressed items, then they do also. Their transparency becomes opaque at this point because it is selective. Joseph Smith, Jr., like his father, used occult seer stones and divining rods to hunt for buried treasure. He was criminally charged for this in Bainbridge, New York, in 1826, of which Saints (33) treats dismissively. Yet photographic proof of Smith’s occult seer stones appeared in the church-owned Ensign magazine (October 2015), McKay’s Joseph Smith Seer Stones (Deseret Books, 2016), and Quinn’s Early Mormonism and the Magic World View (Signature, 1987). While Saints discusses Smith’s stones and rods, it minimizes his wrongdoing. The book elevates these as godly practices by claiming that God revealed “knowledge” to Moses and Aaron “in the Bible” through “rods and stones” (Saints, 21). That is utterly false and is not found anywhere in the Bible. Quite interestingly, a footnote (Saints, 34, fn. 9) source for the discussion about Smith’s 1826 seer stone activity also provides proof that Smith practiced this often! They left that part out of his history. The source was Martin Harris, one of the Book of Mormon witnesses, who gave an interview to Tiffany Monthly in 1859. He openly spoke about Smith’s seer stones and money digging incidents. Saints ignored this and used only one line from the interview.6 That is dishonest history. One of my pet studies has been the nine conflicting accounts of Joseph Smith’s “First Vision” in 1820. Saints does not acknowledge the conflicts between the varied accounts, but it cherry picks pieces from each one to form yet a new story (Saints, 14-16). Therefore, it does not follow their Scripture account as found in the Pearl of Great Price. Unlike their Scripture, Saints, says nothing about his family becoming Presbyterian or him saying that “Presbyterianism is not true.”7 Things added in Saints, not found in the Pearl of Great Price story, include a minister who quoted James 1:5 to Joseph in a sermon, Joseph heard someone walking in the woods behind him, the Father and Son appear in succession with angels, and the Son called Joseph by name instead of the Father. Now for the dilemma—this, being a General Authority “approved” account, actually makes a tenth account of Smith’s first vision. Since it conflicts with Pearl of Great Price, then which one is to be preferred? No matter which way they answer this question, it makes the other account look bad. Saints affirms Joseph Smith’s occult method for translating the Book of Mormon, “Often he found a single seer stone to be more convenient. He would put the seer stoning his hat, place his face into the hat to block out the light, and peer at the stone. Light from the stone would shine in the darkness, revealing words that Joseph dictated as Oliver [Cowdery] rapidly copied them down” (Saints, 61). The admission that he was a medium with a seer stone in a hat does not absolve him. The practice of being a medium is an abomination in the Bible. See Deuteronomy 18:9-12 (also, Leviticus 19:31; 20:6; Isaiah 8:19; 19:3), where mediumship is forbidden by God. No better proof tells us that the Book of Mormon is not from God than to have the Mormon Church publish an “approved” description of its origin that contradicts the Bible. 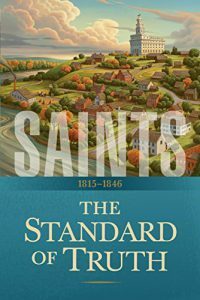 In several places, Saints, was much weaker than the new online “approved” essays on historical and theological subjects (LDS.org, 2013). For example, the section about the Book of Abraham translation (Saints, 220-221) left a gaping hole about the real controversy, which was Smith’s qualification, method of translation, and why it does not match what Egyptologists know today? It leaves one wondering why they left the best description online and put the weakest description in their new history. Theologically, the Book of Abraham teaches polytheism; the belief in many gods. It states, “. . . and they, that is the Gods, organized and formed the heavens and the earth” (Abraham 4:1). While Saints did not quote the Book of Abraham, it includes Joseph Smith’s declaration that God is a man and that there are many gods (polytheism). Smith asked, “What Kind of Being is God?” He answered, “If you were to see Him today, you would see Him in all the person, image, and very form as a man.” He then added godhood for his followers, “You have got to learn how to be gods yourselves” (Saints, 522). And on polygamist marriage, he stated, “Then shall they be gods, because they have not end.” (Saints, 502). These statements directly contradict the Bible on monotheism, “Before me there was no God formed, neither shall there be after me” (Isaiah 43:10). See also Deuteronomy 4:39, 6:4; Mark 12:38, and James 2:19. In modern times, the Mormon polygamy discussion has been reshaped by scholarly works. There is no longer a question whether Joseph Smith deceived his wife Emma and fellow church members by secretly marrying other women. Saints adds a spin to the sin by retelling the story as a struggle between Smith and God. Poor Joseph. He had no choice but to obey God, whose angel told him to marry other women and to keep it a secret from his wife Emma (Saints, 291). Anyone who believes this crafty ruse is out of touch with today’s #MeToo world, where Smith is no different than any other adulterous man who lies about his extramarital liaisons. The difference is that Smith used God as his leverage against women where others use position, power, and money as their tools. The story of Joseph and Hyrum Smith’s death from a mob at the Carthage, Illinois, jail was altered considerably. While Saints correctly placed smuggled guns into the hands of the Smiths, it failed to state that those in the room with the Smiths wrote that two to four men were shot and wounded from Joseph Smith’s gun during the gun battle (Saints, 550-552). The Smiths died in a gun battle, so they were not martyred for their faith as stated in the Saints index. Martyrs do not go out with blazing guns wounding their opponents, defenders do. They have a right to defend themselves, but to call them martyrs is a misuse of the term. In conclusion, Saints brought a few controversial issues to the front burner, but in distorted form. More could have been discussed, but the point has been made that it suffers greatly as a historical work. At times it simply falsified history with a revisionist account that contradicts well-known historical documents. Saints can only satisfy the subjective truth-test that says “this is my truth” (but it is not objectively true). In reality it is another convoluted attempt to rewrite the history of the Church of Jesus Christ of Latter-day Saints, only this time as a novel. Thank you for this timely update and review. When folks choose to be blind to the cascade of facts surrounding LDS history the open the door for self deception. This book stands as evidence of the same. We really appreciate Kurt Van Gorden’s faithfulness over the years and for his allowing us to publish his review.